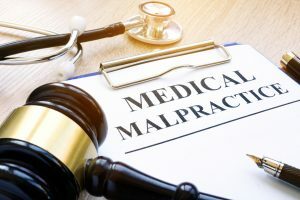 NJ workers’ compensation laws generally protect most employees from workplace injuries and accidents by providing no-fault compensation in the form of medical expenses and lost income. However, unlike personal injury claims, workers’ compensation claims do not allow for the recovery of pain and suffering damages. Pain and suffering refers to the emotional and physical affects injuries can have on the life of the injured party as well as their family. Terms like “loss of enjoyment of life”, “emotional distress”, “physical hardships”, “trauma”, and more are used in association with pain and suffering damages, and can be financially compensated through a successful personal injury claim. 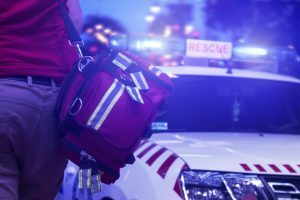 So while this article will primarily focus on how first responders and emergency workers can go about securing pain and suffering damages when injured on the job, it is important to understand that there are many situations in which any injured worker may be able to file for, and secure, personal injury compensation when injured while performing work-related duties. In 1995, NJ Governor Jim Florio signed into effect the “Fireman’s Act”. The Fireman’s Act allowed such as firefighters, police officers, ambulance workers, and other emergency workers to file personal injury claims in the case that they were injured, or worse killed by, the reckless or negligent actions of a third party while responding to an emergency call. For example, a police officer is involved in a car accident while en-route to an emergency call. If the driver who caused the car accident is proven to have done so by acting in a negligent or reckless manner i.e. speeding, disobeying traffic laws, driving while distracted, driving while drunk, etc, the injured police officer can file a personal injury claim against this driver and their insurance provider, thereby allowing said officer to potentially recover pain and suffering damages should their personal injury claim prove successful. Of course, a successful personal injury claim will require proof of causation, fault, and injury. This is why it is so highly recommended that you retain the counsel of an experienced Fireman’s Act lawyer should you be injured on-the-job as a firefighter, policemen, ambulance worker, or other emergency responder. However, while the Fireman’s Act was originally released in 1995, in 2006 its legality was upheld by the NJ Supreme Court, solidifying emergency workers rights to file for, and recover, pain and suffering through a personal injury claim when they are injured while on-the-job due to the reckless or negligent actions of another person or party. At The Law Offices of Michael P. Burakoff, we have extensive experience recovering full and fair compensation for injured workers and their families in towns across Morris and Sussex County, including Dover, Parsippany, Rockaway, Newton, Netcong, Hopatcong, Florham Park, East Hanover, Morris Plains, and more. 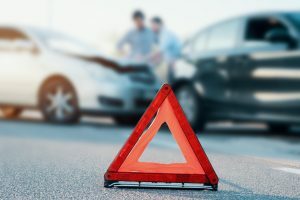 Attorney Michael Burakoff takes a unique approach to personal injury law in that he believes in working with the entire family, rather than just the injured party themselves. 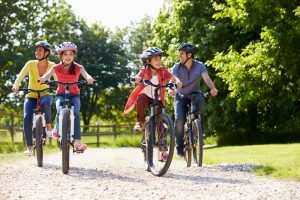 This is because he understands the extreme hardships and stress that can be placed on a family when a serious injury occurs, and the importance to the whole family in knowing that their future is secure and protected. To speak with Michael Burakoff and our legal team today in a free and confidential consultation regarding any kind of workplace injury, your options for securing personal injury compensation, and how exactly we can help you to do so, please contact us online, or through either our Newton, NJ office or our Morristown, NJ office at (973) 520-0525.